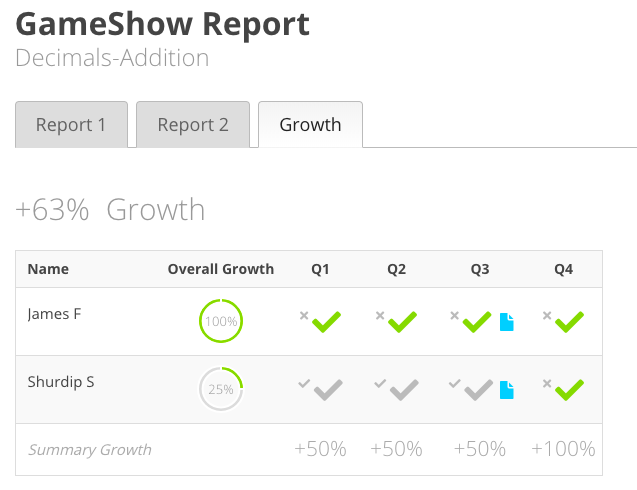 You can run a Mission or GameShow a second time to compare students' performance. Use the "Measure Growth" button on any report after some teaching or intervention has occurred to quickly and easy measure growth. 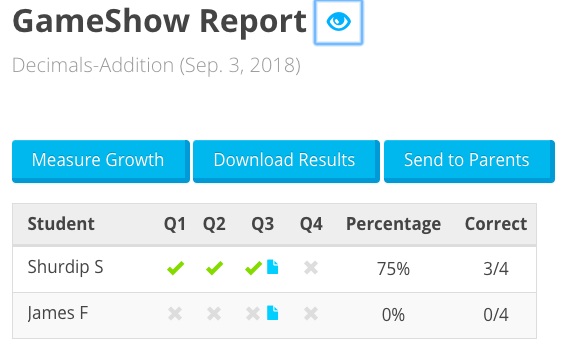 Clicking on the Report and it will automatically show you the Growth Report!